Description A grand dining chair with a solid oak frame, dark wenge stained or bleached for a light finish. 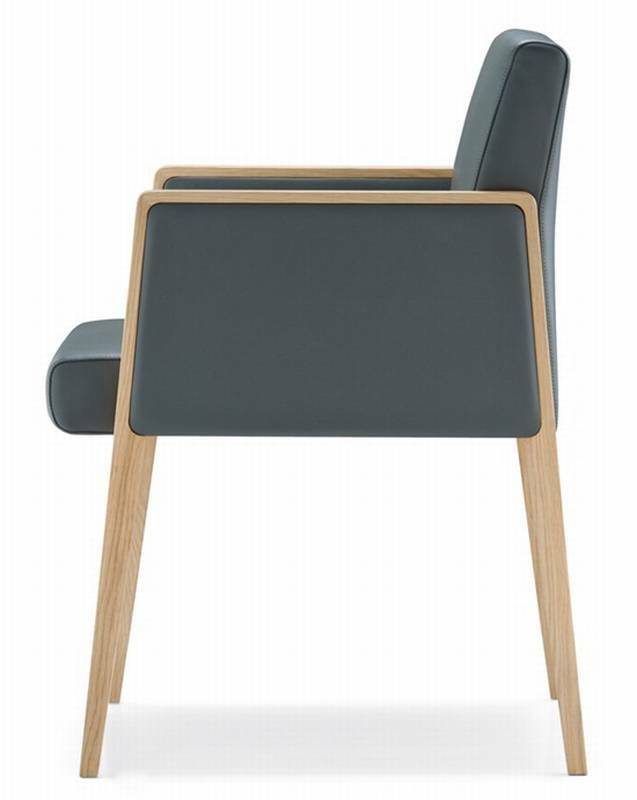 The seat and back are expertly upholstered to create a comfortable chair with design appeal. Covered in a range of fabric, leather and simil leather options, see samples below for full details.